Diners Club Philippines cardholders are no longer allowed unlimited access to airport lounges worldwide. The new scheme only allows 1 free lounge access for every P60,000.00 spend. In short, totally not worth it. On the bright side. Citi PremierMiles cards now allow access to all Plaza Premium lounges worldwide, which now makes it rank 1 on this list! 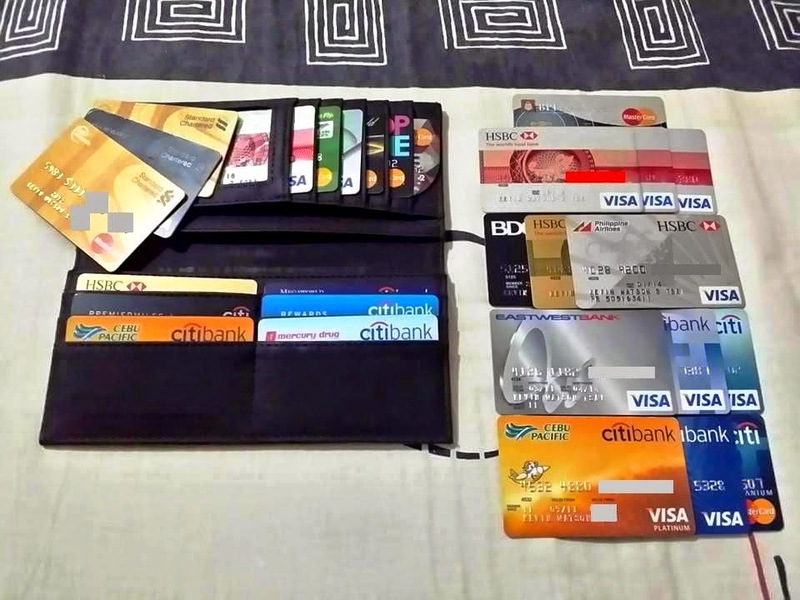 My 15 active cards on the left (can't fit into one wallet with 12 card pockets) and 13 cancelled/replaced cards on the right. I'm surprised I have more active ones! Some people collect stamps; others collect antique watches. I happen to have amassed a lot of credit cards. (Actual credit cards, never debt.) It started when I entered the workforce and certain third-party telemarketers called our company to ask who among us wanted to apply for one. 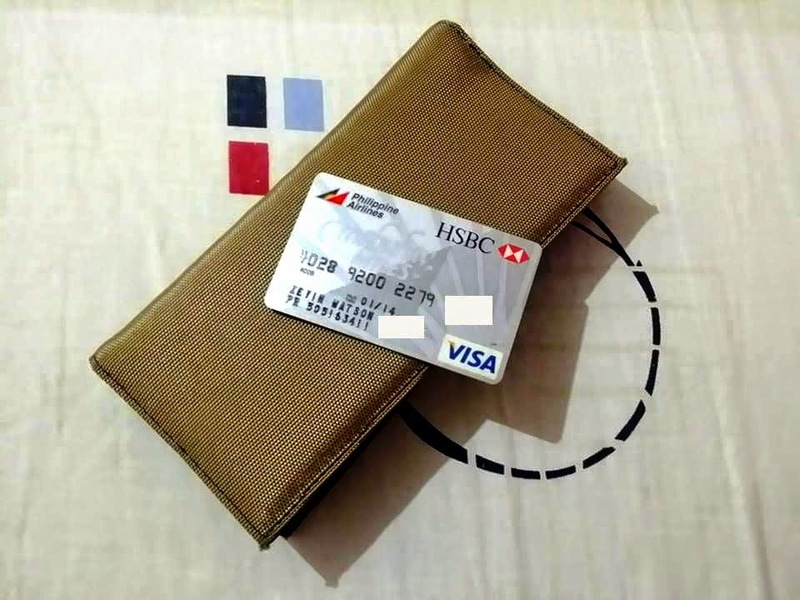 That’s how I started earning the bulk of my miles using an HSBC Mabuhay Miles credit card (now discontinued). I'm happy to have been able to redeem some miles for a trip to Osaka and still have enough remaining for one business or two economy round trip international short-haul flights. In addition, whenever certain banks offer giveaways like cash back or free flights for new card applications, that’s certainly an opportunity I can't ignore since I'm quite the resourceful person. These days, I cannot imagine traveling without a credit card. Even prior to leaving for your trip, it’s the most common payment option to guarantee your flight or hotel room. It’s not (primarily) for the purposes of shopping but rather, having an emergency resource should you lose your cash or phone to some unfortunate circumstance. What if I suddenly needed to extend my hotel stay for a few more nights? Or buy a durable piece of luggage that’s on sale if I lack the cash? Ultimately, I know that being in possession of my credit card gives me the assurance that I have the option of immediately booking a flight back home anytime I want to should anything go wrong on my trip. VINTAGE. They don't make these anymore. Making use of credit as a resource is part of being an adult. "With great credit (limit) comes great responsibility," I always say. 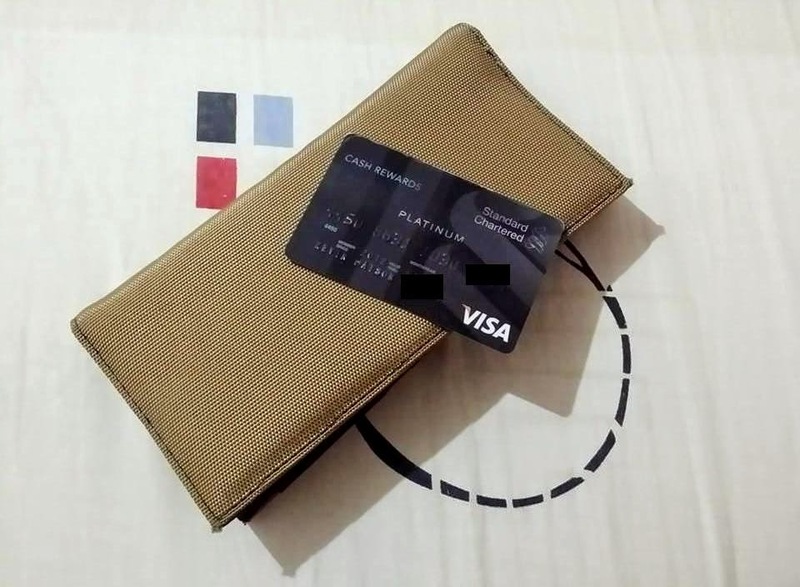 One simple rule to never experiencing any problems with your credit cards is to not charge anything you can’t pay for in cash at the moment of purchase. You also never have to bother knowing which banks offer lower interest rates, finance charges and balance transfer fees if you can abide by one simple rule: always pay off your entire balance in full and on time. Not paying the entire balance should never be an option, because paying only the minimum amount due is how one purchase snowballs into an avalanche of debt. I know a lot of people who choose to avoid getting credit cards, thereby missing out on the many benefits simply because they believe they can't control their spending. Overspending is like having an affair. You know you'll regret it in the end but you still give in to the temptation. Sure, it feels good while you're doing it, but the pleasure stops as soon as the reality of its consequences sets in. That is why self-control is the name of the game. Don’t think of your credit card as such. Think of it as cash. Granted that you have enough money in your bank account to pay for your intended purchase, would you be willing to shell out that much cash in one transaction? Chances are, you’d be discouraged. This is also the reason why I don’t believe in installments as a payment option, whether it’s 0% interest or not. They’re to trick you into thinking what you’re purchasing isn’t really as heavy on the pocket. As long as you practice self-control, you can constantly enjoy benefits like discounts, airline miles, freebies in exchange for charge slips, lounge access, exclusive sales, etc as you will soon discover below. Luckily, banks are becoming increasingly competitive when it comes capturing the market of Philippine travelers with their attractive credit card features. Who doesn’t want the privilege of having options? Below are the Top 8 Travel Credit Cards in the country, based on my humble opinion as an active consumer. Also cited is which target market I think the cards are ideal for. I've included a summary of each card's benefits on how they fare based on: 1) non-expiring miles, 2) lounge access, 3) travel insurance and 4) other perks for you to compare. Information (and some photos) are taken from each bank's respective website. WORN OUT. From all the swiping. TIP: Before redeeming your Mabuhay Miles for flights, you may want to wait for PAL’s Great Miles Getaway sale where you can book select destinations by redeeming half of the usually required miles. (It’s apparently not an annual thing as the last one seems to have been in 2012). Mabuhay Miles no longer expire so it might be worth to wait before you cash in your miles for flights. But you still have to pay for the fuel surcharges, ticketing fees and that detestable Philippine travel tax. I remember really pursuing to be approved for this card. My persistence paid off when I got to redeem a voucher for a free flight (excluding taxes) to Shanghai. Having started flying regularly a few years ago thanks to this airline, Cebu Pacific will always have a special place in my heart thanks to its trademark piso fares - indeed allowing every Juan to fly. But I don’t see myself flying with Cebu Pacific forever, especially not on long-haul flights. Sure, they may be expanding their routes to Dubai and Sydney, but I can’t imagine not having any in-flight entertainment or complimentary meals for more than 4 hours. I get bored easily and reading a magazine over and over isn’t fun at all. But with a network made wider by Tiger Airlines, you can expect more advantages of this card and flying with Cebu Pacific. Earn 1 Asia Mile for every Php42 spend. As an Elite Cardmember, you'll earn 1,500 Bonus Asia Miles with your very first purchase and upon membership anniversary*. BDO's Cathay Pacific Amex card makes it to number 6 because despite having free travel insurance, it doesn't have lounge access and its rewards are exclusive to Asia Miles members (although it's easy to sign up for). But for those who do collect Asia Miles and use them to frequent Hong Kong aboard no less than the world's best airline, this card is for you. BDO also offers discounts for online hotel bookings made with Agoda and Expedia, making BDO cards perfect for the independent traveler. They say that flying used to be an occasion in itself. Today, strutting from the airport entrance to the check-in counter and eventually to the boarding gate could be celebrated more than the actual flying. Bring life to your Instagram photos with a new suitcase and accessories which you can get at discounts using a PNB The Travel Club Platinum Mastercard. Enjoy the free travel insurance if you purchase your flight using this card too. Loyalty program – Receive 1 mile for every P45 spend. 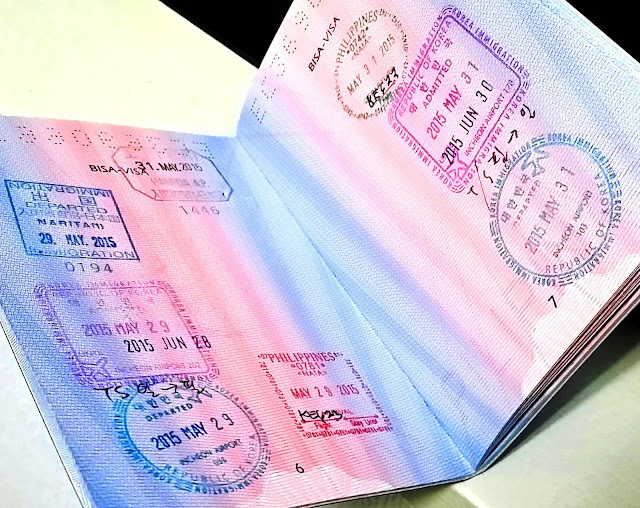 Miles are transferable and do not expire. Travel Protection – Get up to P10M (for regular) or P20M (for platinum) travel insurance coverage. Enjoy superior information security through EMV chip technology when traveling the 42 EMV countries. 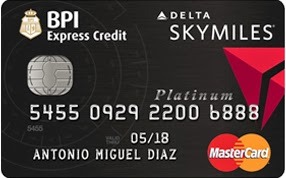 Extra Miles – Earn double miles for every purchase of Delta Air Lines tickets using the platinum card. Airline Tickets: Fly the airline of your choice when you redeem your points for free airline tickets. No more black out dates, no more redemption fees, no more limited seat allocation. 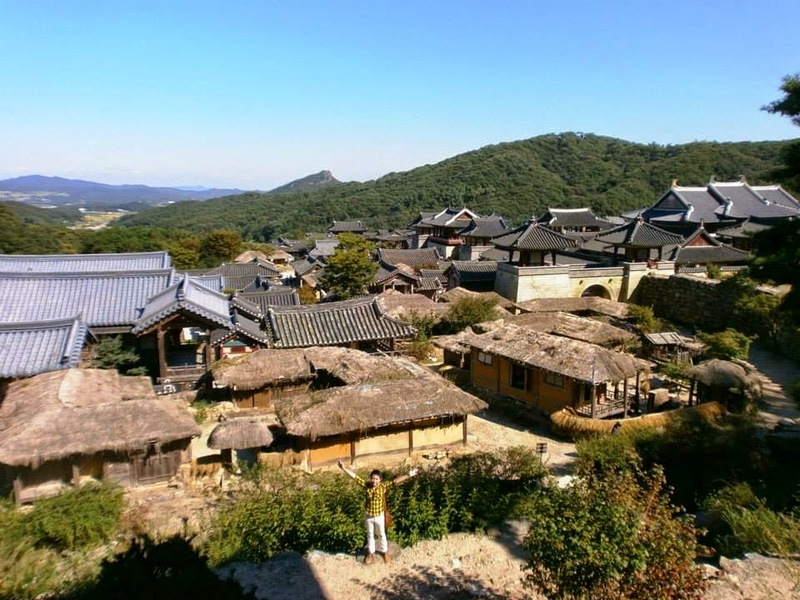 Customized and Regular Travel Packages, tours, land transfers and even travel-related gears! Option to transfer your Miles+ Points to Philippine Airlines' Mabuhay Miles Frequent Flyer Program. Your UnionBank Miles+ Rewards Points never expire. We know how you value your security that is why you will be automatically covered with P10 Million when you charge your travel fares to your UnionBank Miles+ Visa Platinum Card. And should your trip be cancelled or if your flight gets delayed or even if you would need emergency medical evacuation in the untimely event of an accident we will take care of your needs. This card seems to be at par with the next one with its insurance coverage, lounge access and non-expiring miles, save for a few differences. Unionbank's Miles+ card happens to have a different lounge in NAIA Terminal 1 and offers more bang for your buck with a lower P25 spend in exchange for 1 rewards point. Despite not being a global bank, this card still has the recognition of any Visa Platinum card. 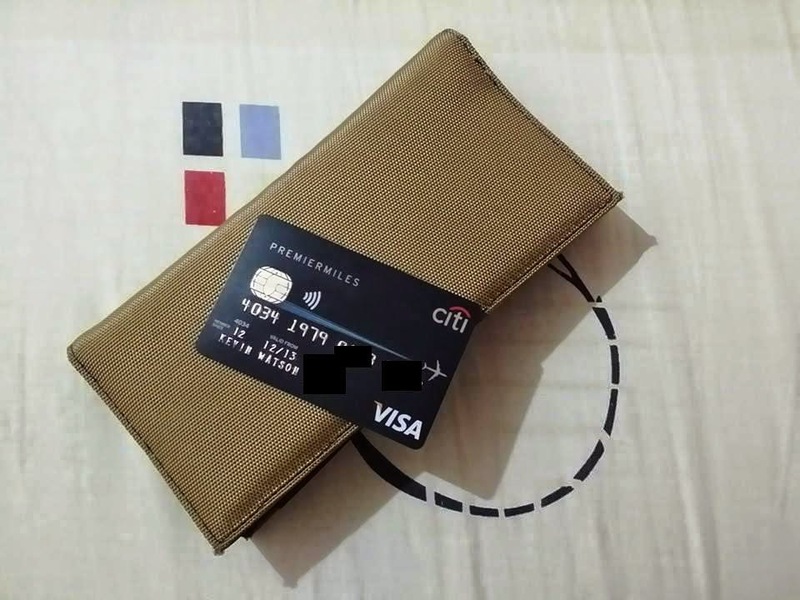 My underused PremierMiles Card which I'm in the process of requesting to be converted to a Platinum card to take advantage of the lower peso to point ratio. Never-expiring miles. Take full control of your miles. Accumulate and keep them for as long as you want, until you decide to exchange them for free flights. Over 60 airline choices. Enjoy the widest selection by redeeming air miles of your preferred frequent flyer program - Asia Miles, Executive Club, KrisFlyer, Mabuhay Miles, Royal Orchid Plus, SkyMiles, Etihad Guest, Evergreen/ Infinity Mileagelands, Garuda Frequent Flyer, and Enrich at a rate of 1 PremierMile to 1 air mile. Another Citibank card makes it to the list. With its worldwide recognition as a global bank, 60 plus airline choices for mileage redemption, free travel insurance, Visa Platinum status and local lounge access, the Citibank Premiermiles card almost makes it to the top spot. Other Perks: Access to over 500 airport lounges worldwide! There is more than enough room for regular folks to share each airport lounge together with the rest of the million milers and high flyers, thanks to a Security Bank Diners Club card. 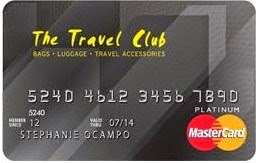 This benefit of access to over 500 airport lounges worldwide, along with free travel insurance and the lowest conversion of P20 spend : 1 point makes this card, without any doubt, the Best Travel Credit Card in the Philippines. After going through each of the above cards' benefits, I'm sure you're all worked up to apply for at least one. But before you apply right away, note that banks offer incentives and freebies for new-to-bank customers so you may want to wait for any such promotions to begin first. Lastly, you NEVER have to pay for your cards' annual fees. 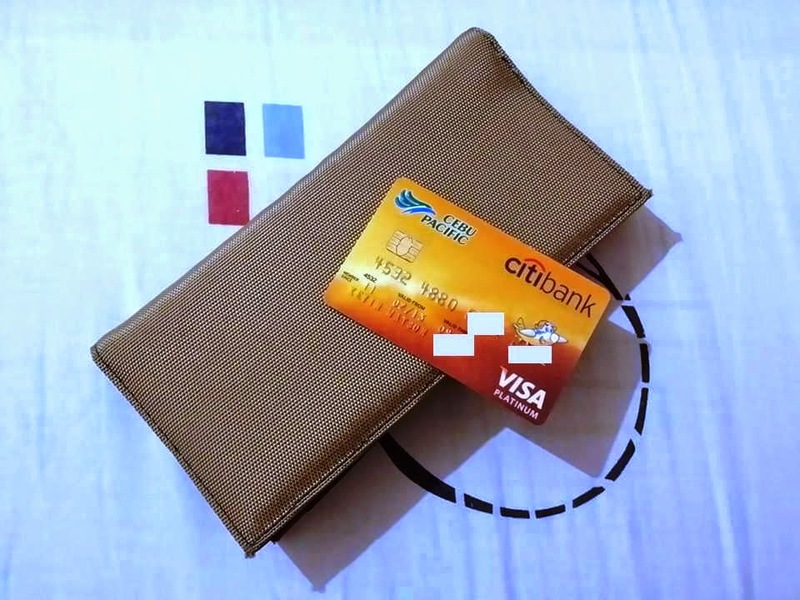 If you’ve been constantly using your card and in good standing, the bank will surely waive it. But if they say they really can’t, well it’s not like you’ve been using it anyway so you may as well have them cancel it. Did I miss anything? Feel free to say so in the comments! Planning to book a travel package? Inquire here. Happy Travel Shopping! The most informative guide to credit card perks in the Web! Who better to write about this stuff than the guy who has ALL the cards? ;p I always thought the PNB Mabuhay Miles Mastercard had the lowest peso-to-Miles ratio at Php33 to a Mile. Does the one from the Security Bank Diners Club mean Php20 = 1 Mile? You seem to have a penchant for flattery.. or most likely a pathologic need or longing for it. Amassing credit cards, regardless of whether in a responsible or irresponsible fashion, does not equate to imparting responsible and appropriate financial advice. Nor is it indicative of financial success, irrespective of the mileage and travel perks promised or granted by the card issuers. Credit or debt is never owned wealth and has caused the downfall of many on this planet. Hi, you're overthinking things. All I'm saying is to be responsible with the credit cards one possesses/will possess and how to maximize their benefits. I never said I was financially successful because of them and nor will anyone be too. Have a great day! Hi! Do u have an updated version of this? thanks! Actually, in my search for a travel credit card, i havent come across an article as good as yours. In my desire to enjoy lounge access though, i found BDO's Platinum cards to have great offers too, where they give "access to over 600 VIP airport lounges in over 300 cities and 75 countries, regardless of the airline you are taking or the ticket class held."